ALL OUR PACKS NOW INCLUDE A DATA PROTECTION AUDIT & GUIDANCVE NOTES AS WELL AS A LIVING DOCUMENT FOR GDPR POLICY THAT WILL BE IMPLEMENTED ON THE 25TH MAY THIS YEAR. 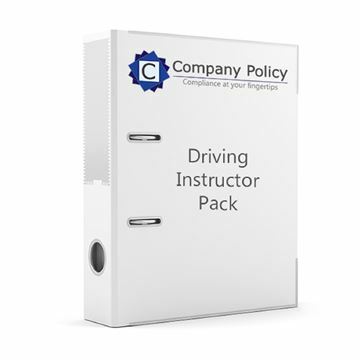 Within the Driving Instructor executive business pack are all the guidance and forms for all new start up and existing businesses. It is suitable for both Sole Trader and SME companies. There are specific forms relating to your industry that cover contracts, service agreements and terms and conditions. Also included is a finance section that will enable you to start to complete your accounts from day one. This will help reduce your year end accountancy fees. As regulations are constantly changing we offer an annual update service that will ensure that you stay compliant. The Gym Instructor executive business pack includes all the guidance and forms for all new start up and existing businesses. It covers both Sole Trader and SME companies. There are specific forms relating to your industry that cover contracts, service agreements and terms and conditions. Also included is a finance section that will enable you to start to complete your accounts from day one. This will help reduce your year end accountancy fees. As regulations are constantly changing we offer an annual update service that will ensure that you stay compliant. Within this Bed & Breakfast - Small Hotel executive business pack are all the guidance and forms for all new start up and existing businesses. It can be used by both Sole Trader and SME companies. There are specific forms relating to your industry that cover contracts, service agreements and terms and conditions. Also included is a finance section that will enable you to start to complete your accounts from day one. This will help reduce your year end accountancy fees. As regulations are constantly changing we offer an annual update service that will ensure that you stay compliant. This Builder executive business pack includes all the guidance and forms for all new start up and existing businesses. It is suitable for both Sole Trader and SME companies. There are specific forms relating to your industry that cover contracts, service agreements and terms and conditions. Also included is a finance section that will enable you to start to complete your accounts from day one. This will help reduce your year end accountancy fees. As regulations are constantly changing we offer an annual update service that will ensure that you stay compliant. Included in the Childminder executive business pack are all the guidance and forms for all new start up and existing businesses. It covers both Sole Trader and SME companies. There are specific forms relating to your industry that cover contracts, service agreements and terms and conditions. Also included is a finance section that will enable you to start to complete your accounts from day one. This will help reduce your year end accountancy fees. As regulations are constantly changing we offer an annual update service that will ensure that you stay compliant. This Cleaner executive business pack includes all the guidance and forms for all new start up and existing businesses. It can be used by both Sole Trader and SME companies. There are specific forms relating to your industry that cover contracts, service agreements and terms and conditions. Also included is a finance section that will enable you to start to complete your accounts from day one. This will help reduce your year end accountancy fees. As regulations are constantly changing we offer an annual update service that will ensure that you stay compliant. The Decorator executive business pack includes all the guidance and forms for all new start up and existing businesses. It can be used by both Sole Trader and SME companies. There are specific forms relating to your industry that cover contracts, service agreements and terms and conditions. Also included is a finance section that will enable you to start to complete your accounts from day one. This will help reduce your year end accountancy fees. As regulations are constantly changing we offer an annual update service that will ensure that you stay compliant. Included in this Electrician executive business pack includes all the guidance and forms for all new start up and existing businesses. It can be used by both Sole Trader and SME companies. There are specific forms relating to your industry that cover contracts, service agreements and terms and conditions. Also included is a finance section that will enable you to start to complete your accounts from day one. This will help reduce your year end accountancy fees. As regulations are constantly changing we offer an annual update service that will ensure that you stay compliant. This Floor Fitter executive business pack includes all the guidance and forms for all new start up and existing businesses. It covers both Sole Trader and SME companies. There are specific forms relating to your industry that cover contracts, service agreements and terms and conditions. Also included is a finance section that will enable you to start to complete your accounts from day one. This will help reduce your year end accountancy fees. As regulations are constantly changing we offer an annual update service that will ensure that you stay compliant. Included in the Gardener executive business pack are all the guidance and forms for all new start up and existing businesses. Either Sole Trader or SME companies can use this pack. There are specific forms relating to your industry that cover contracts, service agreements and terms and conditions. Also included is a finance section that will enable you to start to complete your accounts from day one. This will help reduce your year end accountancy fees. As regulations are constantly changing we offer an annual update service that will ensure that you stay compliant. Within this Glazier executive business pack are all the guidance and forms for all new start up and existing businesses. It suits both Sole Trader and SME companies. There are specific forms relating to your industry that cover contracts, service agreements and terms and conditions. Also included is a finance section that will enable you to start to complete your accounts from day one. This will help reduce your year end accountancy fees. As regulations are constantly changing we offer an annual update service that will ensure that you stay compliant. The Joiner executive business pack includes all the guidance and forms for all new start up and existing businesses. It covers both Sole Trader and SME companies. There are specific forms relating to your industry that cover contracts, service agreements and terms and conditions. Also included is a finance section that will enable you to start to complete your accounts from day one. This will help reduce your year end accountancy fees. As regulations are constantly changing we offer an annual update service that will ensure that you stay compliant. Included within this Plasterer executive business pack are all the guidance and forms for all new start up and existing businesses. It covers both Sole Trader and SME companies. There are specific forms relating to your industry that cover contracts, service agreements and terms and conditions. Also included is a finance section that will enable you to start to complete your accounts from day one. This will help reduce your year end accountancy fees. As regulations are constantly changing we offer an annual update service that will ensure that you stay compliant. This Plumber executive business pack includes all the guidance and forms for all new start up and existing businesses. It is suitable for both Sole Trader and SME companies. There are specific forms relating to your industry that cover contracts, service agreements and terms and conditions. Also included is a finance section that will enable you to start to complete your accounts from day one. This will help reduce your year end accountancy fees. As regulations are constantly changing we offer an annual update service that will ensure that you stay compliant. The Roofer executive business pack includes all the guidance and forms for all new start up and existing businesses. It suits either Sole Trader or SME companies. There are specific forms relating to your industry that cover contracts, service agreements and terms and conditions. Also included is a finance section that will enable you to start to complete your accounts from day one. This will help reduce your year end accountancy fees. As regulations are constantly changing we offer an annual update service that will ensure that you stay compliant.